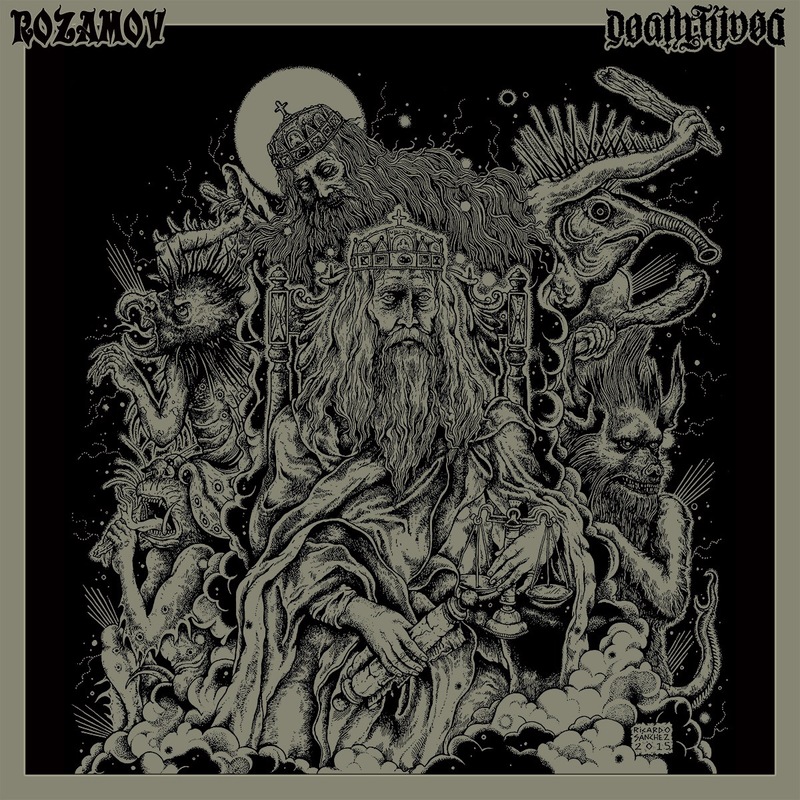 Ahead of their performances at this year’s devastatingly huge Psycho California event at The Observatory in Santa Ana, May 15-17, sludge monsters Deathkings and Rozamov, who hail from both sides of the US (Los Angeles and Boston, respectively), will unleash their split 7″ on May 12, 2015 on 7-inch vinyl and digital download through Southern California’s Midnite Collective. Today, CVLT Nation announces the split and streams the Deathkings track for your aural devastation. Stream the new Deathkings track “Solomon” at THIS LOCATION. Pre-order the limited vinyl packages exclusively from Midnite Collective here. In celebration of their appearance at Psycho California and the release of this split, the bands will play a few select shows.